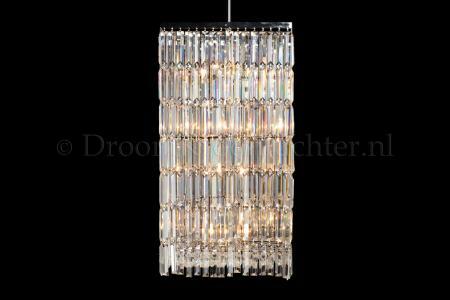 Mira is a high quality crystal pendant lamp with a length and width of 17.7 inch (45cm) and 30.7 inch (78cm) height. 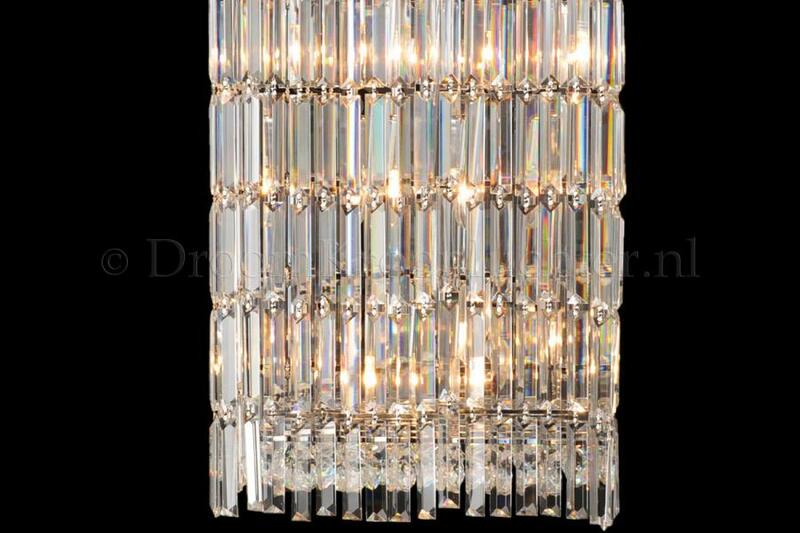 This marvelous crystal chandelier is square shaped, in chrome colour, and has 7 rows of 4 inch (10cm) long cyrstal pendants. The bottom part of this pendant lamp is filled with 64 cyrstal balls which make the lamp shine on every side. Truly a marvelous crystal chandelier. 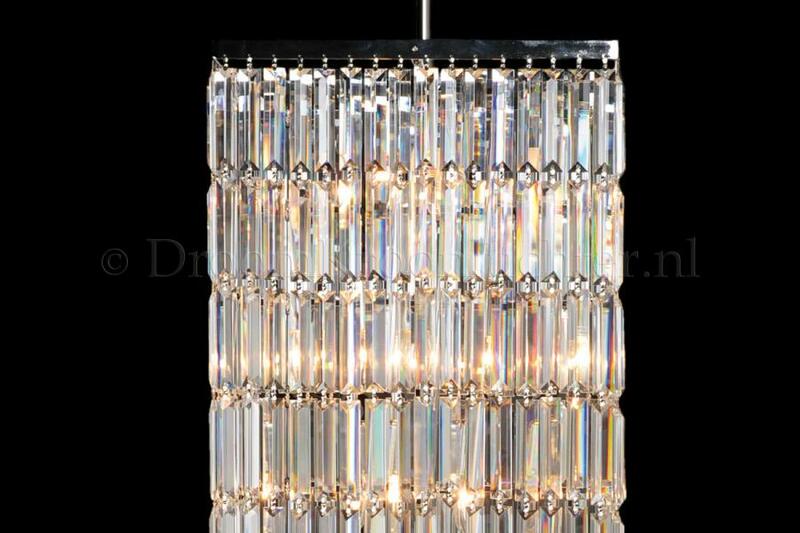 With 8 light points and high quality crystals, this pendant light luminates your space in in a luxurious way!